With an incoming draft class loaded at the top with quarterback talent, the 2018 NFL Draft could be a franchise-defining moment for numerous teams should they find their next longtime signal caller. Thanks to the Jets trading into the top three, football fans have a good idea how the very top of the draft will play out, save for one team: the New York Giants. 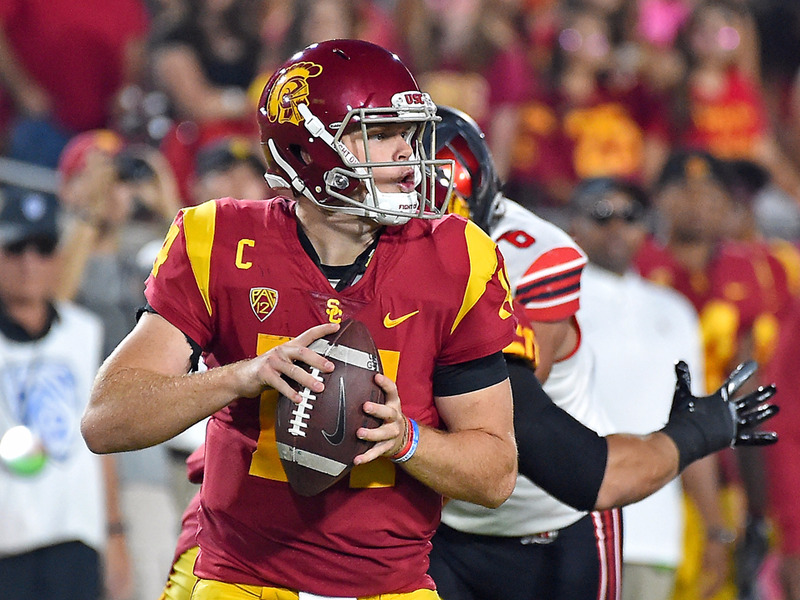 The Browns will likely take their top choice at quarterback with the first overall pick in the draft, and the Jets will hope to get their guy at No. 3. However, since the Jets trade, the Giants’ second overall pick has become the greatest variable remaining. Below we break down the Giants options for how to use their pick. 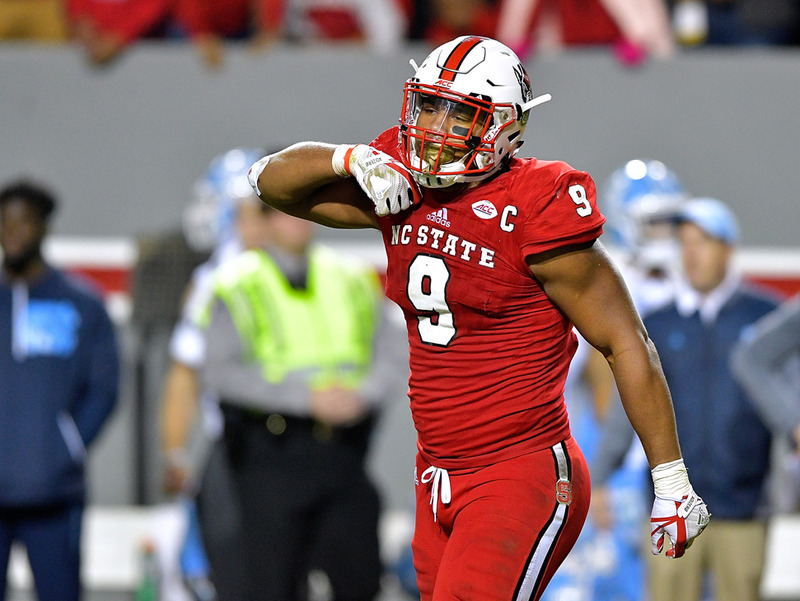 Grant Halverson/Getty ImagesMany draft experts believe defensive end Bradley Chubb to be the safest pick in the 2018 Draft class in terms of ability to play at the professional level. The Giants’ decision to trade Jason Pierre-Paul came as something of a surprise but makes sense for the team in the long run, financially. The departure of Pierre-Paul is also extremely well-timed for the Giants should they wish to find his replacement in the draft, as Bradley Chubb of NC State is widely seen as one of the safest bets of the incoming class. In another year, Chubb would be the de facto first overall pick on many experts’ draft boards, but with the Browns having already beefed up their defensive line in last year’s draft, Chubb is a safe bet to fall to the Giants at two. If the Giants want to maintain the relative strength of their defence while saving a ton of money, they could use their first round pick on Chubb and continue to build from there. 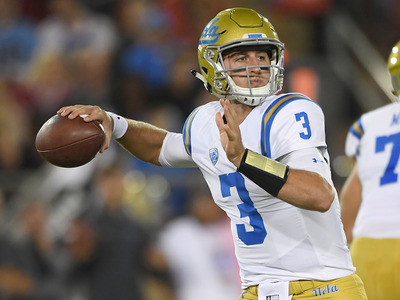 Thearon W. Henderson/Getty ImagesJosh Rosen is one of six quarterbacks that could potentially go in the first round of the 2018 NFL Draft. The Giants haven’t had to think about their starting quarterback situation in 14 years. That said, Manning is likely in the twilight of his NFL career. At 37, he could still have a few years left playing at a better than average NFL level – age seems more and more to be “just a number” to many starting quarterbacks – but the Giants have definitely reached a point where they need to start thinking about picking up and developing his successor. In a draft filled with quarterback talent, only the Browns are picking ahead of New York, and we all know how well the Browns tend to do when evaluating quarterbacks. If the Giants believe that Josh Rosen, Sam Bradford, Josh Allen, or Baker Mayfield could be the future of their franchise, they’re in prime position to nab any one of them and give them a few years to learn the ropes of the NFL under Manning’s guidance. Joe Robbins/GettySaquon Barkley is undeniably NFL ready. If the Giants are in a “win now” mode and believe that last year’s 3-13 campaign was a blip on the radar rather than a harbinger of things to come, then there’s no need to overthink things – take Saquon Barkley. Initially it was thought that the Browns would possibly be able take Barkley with the first overall pick and still get their quarterback of choice with the fourth overall pick, but with the Jets moving up to almost certainly pick a quarterback, it’s likely the Browns will be forced to take their QB of choice first overall to ensure they get their guy. Should this happen, Barkley would fall right into the Giants’ lap. 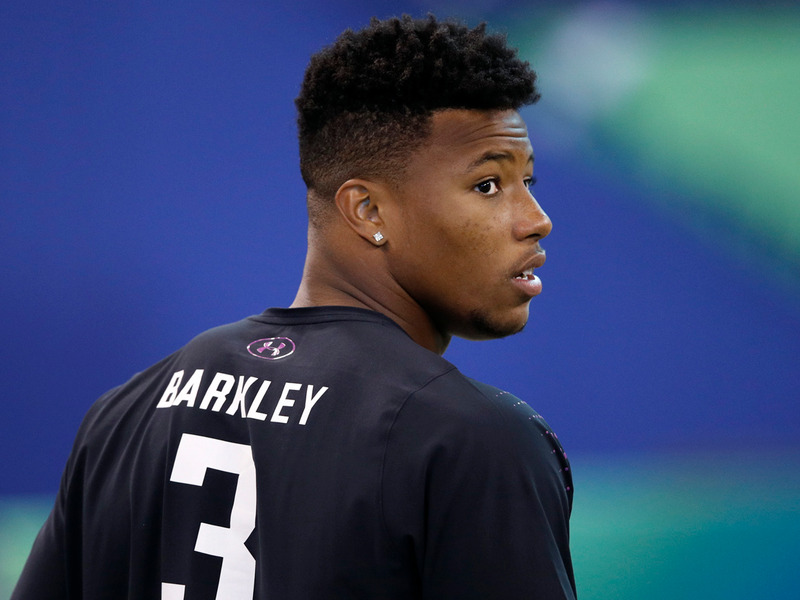 Taking Barkley would not fill the hole left by Pierre-Paul, nor would it be a step in preparation for the departure of Manning, but it would give New York the most pro-ready player in the NFL Draft. The past two years have shown just how much impact a rookie running back can have on a team – Ezekiel Elliott, Leonard Fournette, Alvin Kamara, and Kareem Hunt have all made the jump and immediately become some of the most feared players in all of football. If the Giants’ top goal is to contend for the Super Bowl in 2018, Barkley would be the obvious choice. 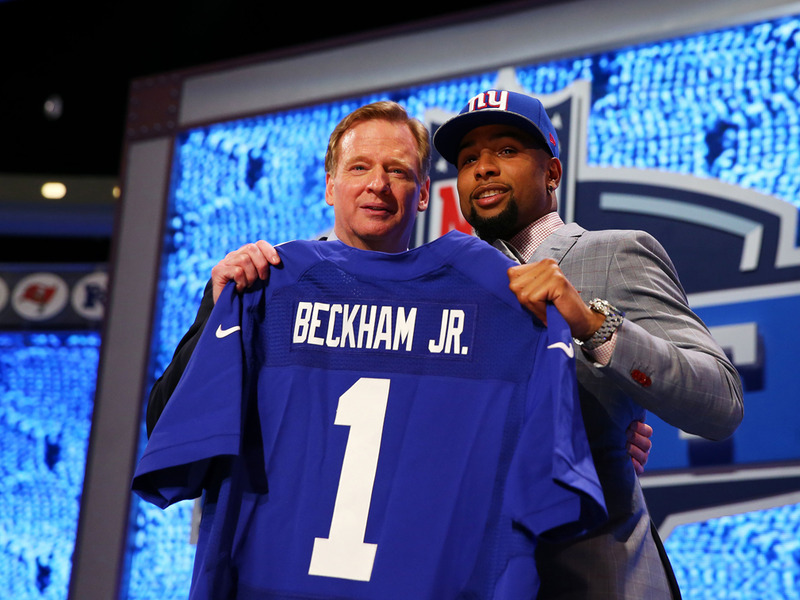 Elsa/Getty ImagesThe Giants were able to get Odell Beckham Jr. with the 14th pick in 2016 — could they find a similar talent in the middle of the first if they chose to trade down this year? This might not seem like the most exciting move from the Giants, but it might be the most prudent. The Jets already set the market when they gave up a king’s ransom to move into the top three of this year’s draft, and the price might be too much pass up. Some teams might be nervous that the Jets move will mean their quarterback of choice will no longer fall to them and feel anxious enough to pull the trigger and move up into the Giants’ spot. Depending on their return, this move could potentially solve all three of the Giants issues entering the draft. Josh Rosen likely wouldn’t fall far enough, but Lamar Jackson or Mason Rudolph might still be available. Bradley Chubb will undoubtedly be gone, but the likes of Lorenzo Carter would likely still be an option at defensive end, as would some other great athletes. If the Giants believe they have a great read on the talent in this draft class beyond the quarterbacks and positional standouts that will make up the first six picks, trading down might be the best way to set themselves up for future success.